Help us make DabbledooMusic work for you! 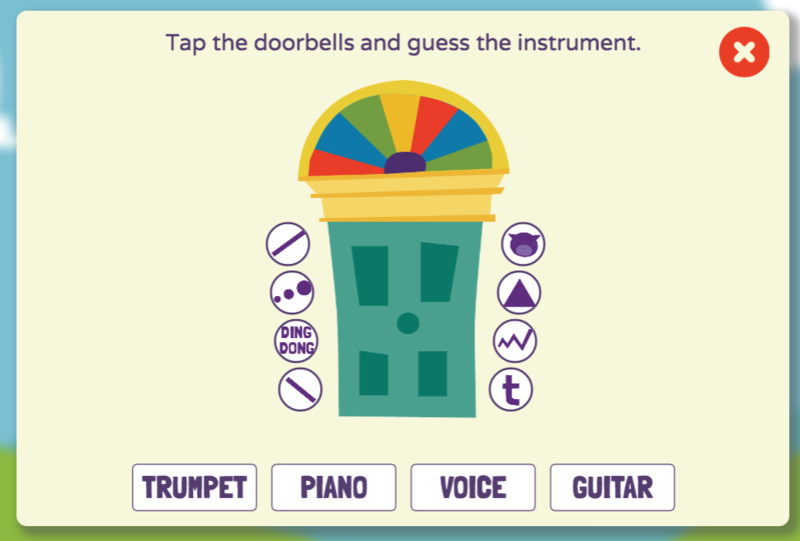 Press the door bells and decide what instrument is playing the sounds. This is the same exercise as last week but with instruments making the sounds. How can a piano sound like a pig? You'll see! We can now repeat the conductor game from last week! Divide the class into four colour groups: Red, Yellow, Green and Blue. Each group will have to make their sound when the student at the whiteboard points to their colour. The student at the whiteboard will be responsible for making the class make their sound and in what order. They will need a pointer of some sort. This activity can go on as long as there are volunteers wanting to be the conductor. 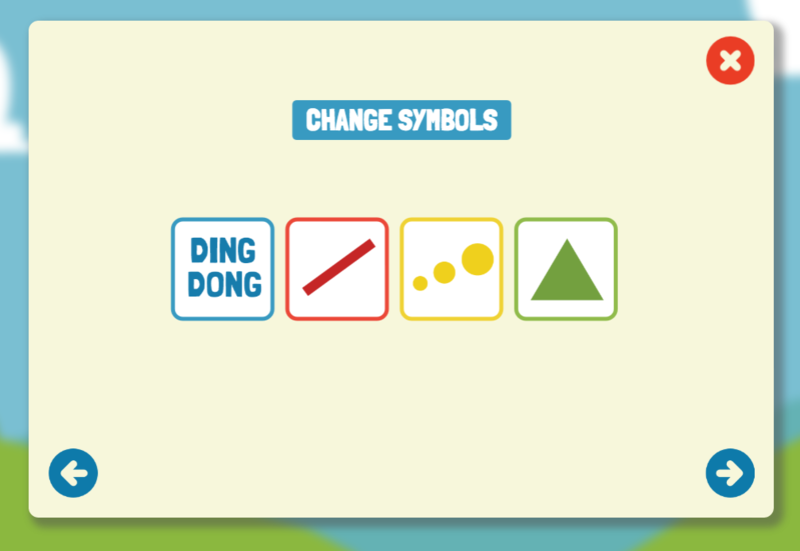 The symbols can also be switched using the Change Symbols button.